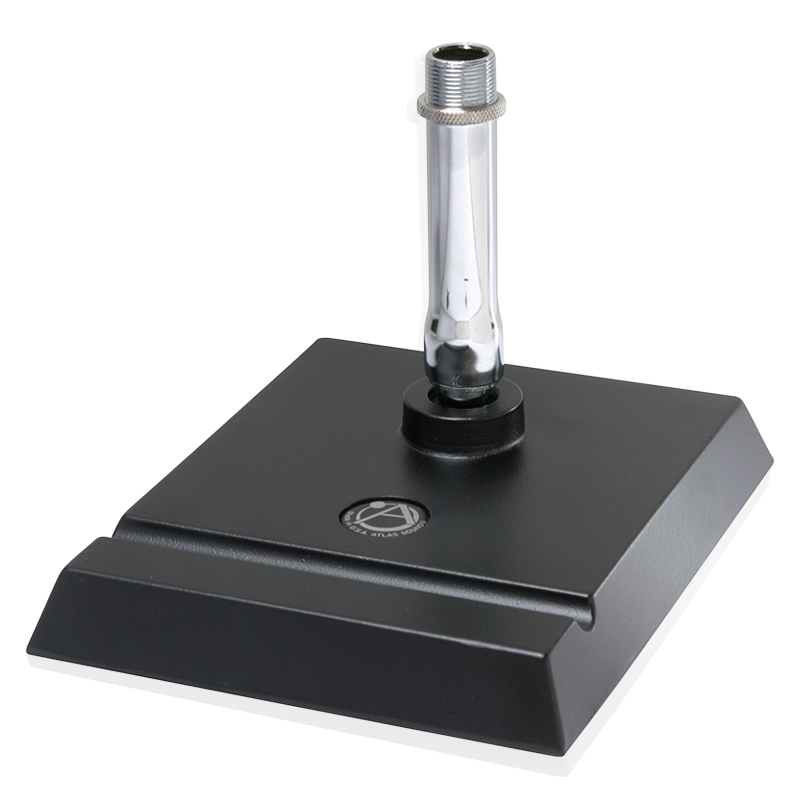 Low silhouette stand features an integral tension variable mount to reduce conductivity of external mechanical vibrations. High-stability, die-cast metal base with protective pads includes notched area for convenient placement of cards or pens. Fixed-height tubing is chrome plated. Base is supplied in non-reflective ebony.